Hey everyone! I’m building my own DIY kitchen cabinets in my home wood shop. I’ve already built and installed one portion, and decided to film as I build the island portion. 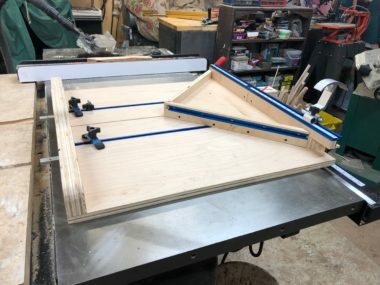 In the last episode, I talked about dimensioning lumber and making the face frames: Making Face Frames. In this next episode I make the end panel cabinets, or side pieces. These are the parts of the base cabinet that will be seen on a corner and side. 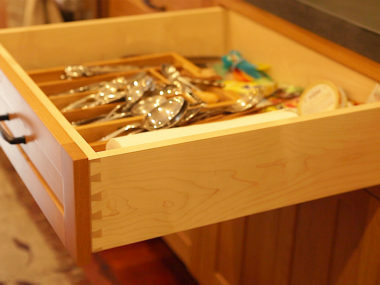 I generally like to follow the design of the cabinet doors and try to make it all fit together in the style. I use the same basic tools: the table saw, and pocket hole screws, but add in some biscuit joints. You can download my Kitchen Cabinet SketchUp File and modify it to build your own set of cabinets in this style. Subscribe to my YouTube channel encourage me to make more videos and follow along!